The Black Death was followed by the great flowering of the Renaissance, a long, sunny day, but the Thirty Years’ War was followed by decay, disintegration, and endless night. The words of the good chronicler and the poor artist are uncannily topical for us, because we also are at the end of an era, and what comes next is in our hands. How will future historians of our time judge our decisions? Poor Germany! The poorest country under the sun. Robbed of any external power, its army and economy in ruins, the west occupied by powerful victors, the east the skirmishing ground of small neighbours. The poorest country, but nevertheless the richest country. The richest in hopes and favourable opportunities. Everything antiquated has been mercilessly cleared out. Unknown energies have suddenly come to light and been put to work. Make room for those who can, a phrase which was no more than a nice ornament within the restrictions of the old society, is now more than just a phrase, it has become the deeper meaning of the times altogether. As paradoxical as it may sound, one is almost inclined to have sympathy with the victors. They won’t enjoy their triumph much. Their economy is capitalist and imperialist, but the world economy is reaching for new forms. Everywhere, ideas are crystallizing into action. It is not yet socialism, but we are entering an age of post-capitalism. There will be crises. The psyche of the people will be influenced and agitated by apparently hidden powers. Disappointment and depression will be the only fruits of the victorious nations. The previous German Vice-Chancellor once spoke of the lead weights which our defeated enemies would have to carry for decades. That was an expression of the recklessness which characterized our fallen rulers, but it will still turn out to be true, if in a completely different sense. We will be hearing the rattling of the chains which rub the limbs of the victors sore, for a long time. But in Germany seems to be only chaos at the moment. The Germans have always been erratic, since the very beginning of his history, one part Faust, one part Ahasver and one part Doubting Thomas, but they have now gone completely berserk. They no longer knock on the door, they force the lock. The spirit of the Roman slave leader seems to have got into them overnight. Until the year 1848, Germany had had only one revolution which encompassed all social classes, the Peasants’ War. And this movement was so mixed up with messianic hopes, in a fundamentally religious age, that religion hides the social issues from the retrospective observer. German history knows no storming of the Bastille, and the German Pantheon contains no Cromwell and no Mirabeau. That is the reason why the new characters who have appeared in the last few months arouse such perplexed amazement. Action is the essence of revolution, spontaneous action, which leads directly to the goal, whether successful or disastrous, depending on the situation. It is no wonder that the Germans, used to the tough material of the authoritarian state, with its lack of a public sphere, regard the wild agitation which has unexpectedly taken hold of the masses with feelings similar to those which caused the honest Prior of Parma to brilliantly describe the paintings of Correggio, with their muddled confusion of heads, limbs and torsos, as frog stew. But the new characters really aren’t that astonishing to someone whose thought processes are in tune with this lively time, he saw them coming. 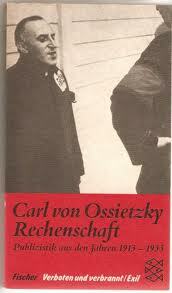 Revolutionary Germany existed long before the war, which only provided the impetus for the violent overthrow. Everything which was undertaken for years to put society on a better basis, whether by political parties or purely cultural associations, had to oppose the basic concept of this society, and was bound to arouse its hostility, and that of its advocates. But these initiatives, which were the result of the most various motives, completely changed the public atmosphere, in which people arose, outwardly just like everyone else, but with a state of mind as different as the emerging and the decaying, the old and the new times. And then came the moment in which all ideas and energies flowed together and became action. Is it surprising that no coherent picture emerged, because chaos first had to reign? We are in the presence of a world-historic transition. Jaded spirits and weak hearts may regret living in these times, but whoever has feelings and a sense of the perspective of the huge, heroic spectacle presented by the ever rejuvenating and renewing forces of humanity, will not be able to stand aside, grumbling and complaining. He will take things as they are: a world has collapsed and must be rebuilt. What has collapsed is not only a state which thought it was invincible, not just an economic system whose beneficiaries thought was dead safe, but, above all, the bourgeois-capitalist mentality which has ruled thought for the last hundred years, including more of the socialist workers than they would care to admit. But now the task is to develop a new mentality, which may be dominant for a long, long time. That is the responsibility which we survivors have, although there are still enough people who can find nothing better to do than complain about the economic downturn, or that the revolution isn’t just a procession. The ‚soft-living flesh of Wittenberg’, the vindictive insult that Thomas Münzer hung on Luther’s black cassock, when he tried to hold back the tide, is here again, and has become the symbol of many. The anxious, the careful and the well-meaning and sentimental, must understand that nothing ties us to the tradition any more, that half-measures won’t do, that the spiritual renewal that the German Michel has failed to carry out for centuries, must now take place. The only revolutionary virtue which is of any use to us now is to live in the present and look its problems straight in the eye, without lazy compromises. We can see with a shudder to where the ‚realistic’ politicians, who were only ever aware of the smallest possibilities, and the great ideological schemes in their hollow heads, have led us, with their wonderful pragmatic policies. It’s better to stagger between regret and desire, like the errant Faust on the Blocksberg, in the middle of the the infernal chaos of the witches’ sabbath, or to be trapped alone in the terrible wilderness between death and the devil, like the lost knight, than to come to terms with that nice petty bourgeois smartness of thoughts and feelings, that slick correctness, that low-brow, undemanding purposefulness, which only ever sees what’s next, but never gets to the heart of the matter. That is the contemporary man, who will build the house in which the next generations will live, but too much has already been asked of him, because the revolution camp follower follows the real revolutionary around like a pet monkey. We know him well, always hiding behind empty formula, no depth, always superficial, drunk on his own words. His territory is the street, he needs publicity and an audience. He swims in impressions, he must always put on a performance. On the street corner, he harangues a few passers-by, who hurry past because they have other thoughts, but he is sure of having made world history in this moment, because he doesn’t deal in units smaller than eternity. Funnily enough, they are often enough honest men, who would be mortified if they knew what kinds of reflexes they provoke. We need people who serve ideas, not words. We need people who are independent, but are still aware that they are links in a chain. The revolutionary fights with his caricature. And there is someone else whom one must not overlook, however insignificant he is, walking next to this big cauldron, in which the struggle for shape is seething: Mr Normal. He wears a sweet-sour smile, and at the bottom of his heart he is surprised that he hasn’t yet been killed, but he doesn’t let on. For him, the whole thing is a regrettable intermezzo which will hopefully soon be over, because he has a slight suspicion that he is the actual winner, because his type is, in fact, immortal. It has survived all the convulsions of world history, always as a spectator, never a victim, always a witness, never a martyr. He hid in the cellar during the storming of the Bastille, and only came out when he realized that it wasn’t aimed against him. He accompanied King, Queen, Girondist and Jacobin to the guillotine, one after the other, sang the Carmagnole in public and traded secretly on the black market. He laughed secretly up his sleeve at the death of Marat, and cheered Bonaparte’s coup d’etat in the public square. He passed from the Directoire to the Empire in the best of health, and with well-filled pockets. Is he still alive? Go into any pub, and you will find him cursing the terrible present, and praising the good old times. Or you will see him in the tram as he shoves his newspaper into his pocket with the expression of a man who no longer knows what’s going on. Will he laugh last this time as well? That depends on who wins: the revolutionary or the revolution camp follower. He who grasps the meaning of the revolution best, and creates a new order out of it, or he who discredits the movement with pipe dreams, and lets it end in the gutter. At the moment, Mr Normal is bitterly angry with the revolution camp follower, he holds him for his worst enemy. If he were a bit less stupid, he would greet him as his best ally. Oh mourn, mourn, Germany, unhappy land! Uncultivated too long! Your neighbours bloom around you, full of fruit, Like hills full of gold around a swamp. Like young, fertile women around their oldest sister who remained a virgin. Poor Germany! This time it is not a victim of its own reticence, as in past centuries, it failed like a parvenu who plays for too high stakes and becomes a beggar overnight. It came to grief because it believed too much in the idea of power, the blind faith that only violence and naked steel mattered, and that justice and truth were just ridiculous phrases whose only use was to soft-soap the gullible. We must overcome the faith in crude power. We must learn to trust in the power of the intellect, which is the daughter of righteousness. What collapsed was built on weak foundations, it was not truth, it was just stage settings. We had highly-developed technology, and science which defied all earthly constraints. But science and technology were not primarily there to benefit people, and it was not just our fault, we were part of a terrible international trend. They created weapons of destruction, tools of terrible murder. We must humanize science again. We monists, too, who carry the banner of a scientific world-view, must also make our contribution. We also have sinned in some ways; we have mistaken the cold specialist knowledge of the natural scientist for great knowledge of life. We have often forgotten that the searching soul also has its eternal right, as well as the instruments of research. We could contribute a great deal of warmth to the world. Today, Germany is so humiliated that another, better situation appears utopian, but Germany musn’t look back in sorrow at the recent past, and bitterly miss a time which was nothing other than a shiny, made-up lie. Even if it now stands alone and mocked by all, in the parade of the peoples, like Armin’s wife in the Roman victory parade, believe that you can redeem yourself. Don’t look back. The present is your battleground. There’s no need to wander around with a miserable, repentant face. Distress should not make you pray, it should provoke you to think and act. We don’t want to be gloomy guests on this dark Earth, we want to take up Goethe’s Die and become as our cheerful catch-phrase. Great troubles cause great resistance. The suffering, mistreated and bound Germania has always been the mother of the best generation! 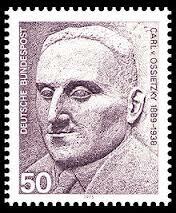 This entry was posted in 1918, Carl von Ossietzky. Bookmark the permalink.